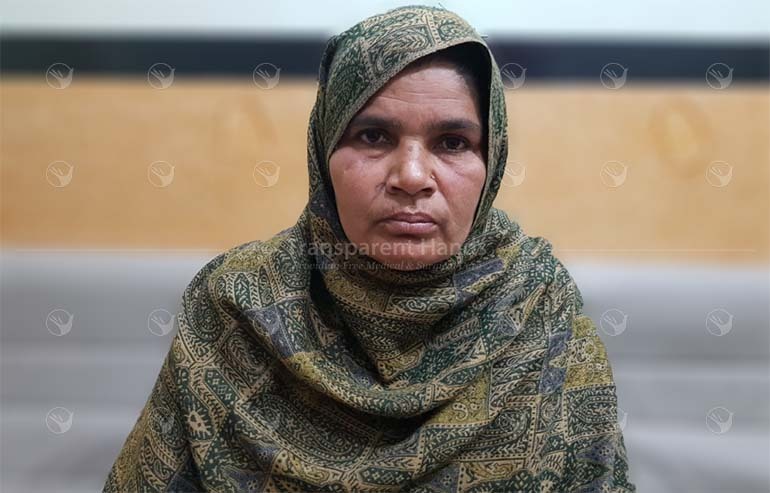 Shamim Bibi is a 40 years old homemaker who was diagnosed with Renal Pelvic stones during her health checkup in a local hospital. Initially, these stones in the kidney were harmless but as they started to grow larger, they caused unbearable pain in the area between the ribs and hips in the back. As days went by, her condition worsened due to other associated symptoms like frequent nausea, vomiting, restlessness, and sweating. Finally, the doctors have advised her for Pyelolithotomy for permanent relief. About 5 years ago, Shamim had conceived a child but there were severe complications in her pregnancy. She had to undergo a C-section surgery that time to give birth to her child. Before she could experience the delight of holding her child in her arms, the baby died due to RDS (respiratory distress syndrome). She wants to conceive again but doctor has recommended to wait until her other symptoms are relived permanently which could affect her pregnancy. Shamim’s husband is a barber in the village and hardly earns 300 rupees per day which means, this family has to manage their expenses within 8000 PKR per month. This amount is too low to even afford three time’s healthy meal and other expenses every month. Shamim needs immediate help. If her surgery is delayed further, there is a risk of blood or stones coming out through the urine. Please donate for Shamim’s surgery and let her enjoy the motherhood without any health complications! Be the first one to support Shamim bibi.